When you think about almost every locksmith in Queen is an emergency locksmith in some way or another. 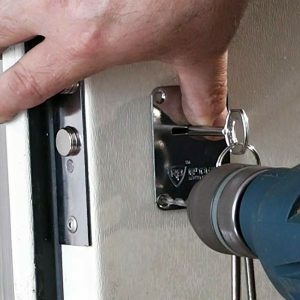 In fact more than 50% of any locksmiths work is done on the spur of moment for those customers in need because they locked themselves our their car, house, or business, or because a lock on their home or business has broken and the owners don’t want to leave their homes or businesses unprotected where just anyone off the street can walk in. So what really is an Emergency locksmith? An Emergency Locksmith is a locksmith who provides 24 hour a day, 7 day a week service for those customers in need. An Emergency locksmith will provide quick service to his clients so that they are left to worry about break-ins or being stranded out of their car, home or business. A Emergency locksmith provides a full range of services to their customs including installing dead bolts and other security locks and explains to their customers exactly how to use those locks so that they remain as safe as possible. An emergency locksmith is mobile so that he can come to the aid of a customers wherever they may be in the area he serves. A good emergency locksmith is fully licensed and is always thoroughly professional. You should never wait until you are in the midst of an emergency to find an emergency locksmith. Like any other professional service you want to be able to do a bit of research to ensure that the locksmith you choose can meet your lock and/or key needs regardless of the situation. This means that you should make a list of the Locksmiths in Queens as soon as possible, find out if they provide 24/7 service in case of emergency and if possible discover what past customers think about their service. Once you have found the right locksmith you should keep their number in your wallet and on the list of important numbers in your home or business so that you have their number handy whenever and wherever an lock and key emergency occurs. Fresh Meadows Best Locksmith is a New York locksmith services that provides their services to the entire borough of Queens. They are a fully licensed locksmith service that provides quick service both during an emergency as well as when no emergency service is required. Our mobile locksmith services are available to help customers 24 hours a day 7 days a week including holidays, so you won’t ever have to worry that you be left out in the cold. Our phone number is 718-233-1144 so keep our number on hand or give us call now and let us know how we can be of service to you.